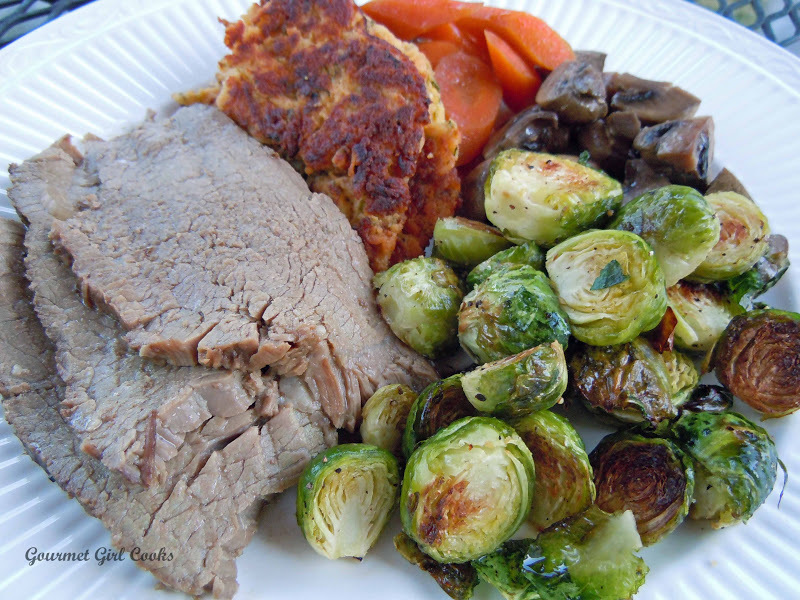 This evening we are going to eat the leftover pot roast from Thursday night's dinner, so other than roasting some fresh brussel sprouts to go along with our meal, I don't have to cook tonight. It was a gorgeous day here so we took advantage of it and worked outside in the yard most of the day. We didn't get it all done, but we put a big dent into the raking, pruning, etc. I took a little break from yard work this afternoon to make a dessert that I've been wanting to try and since it has to set up in the refrigerator for a while, I wanted to get it done early enough to be able to enjoy it after dinner. I actually made 2 different items but used them together for the final product. 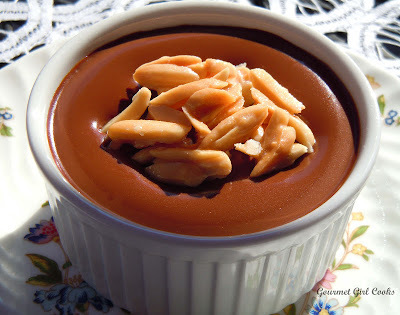 I made sugar free Chocolate Espresso Pot de Crème which is a rich decadent custard like dessert that you eat in small portions because of its richness. It originated in France in the 17th century. The flavor is rich, deep, dark and chocolatey and the flavor is further deepened by the addition of strong espresso. You can top it with whipped cream or berries, etc., but I wanted to top it with crispy Buttered Almond Brittle. Both of these recipes were very simple to make and neither required any baking in the oven at all. They are prepared completely on the stove top which is a plus! I was pleased with how they both turned out. 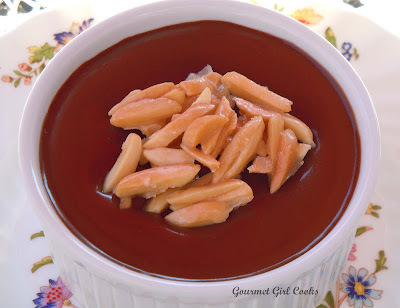 The Pot de Crème is a sugar free version of an older Ghirardelli recipe. 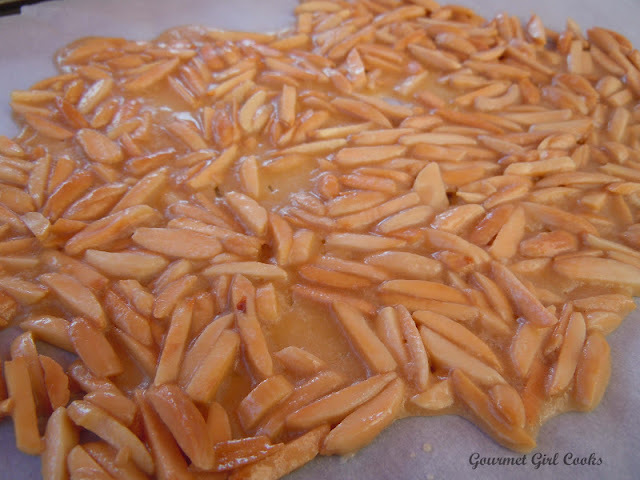 I put the Buttered Almond Brittle recipe together after getting ideas from other recipes at a couple of different places, including the Swerve site. 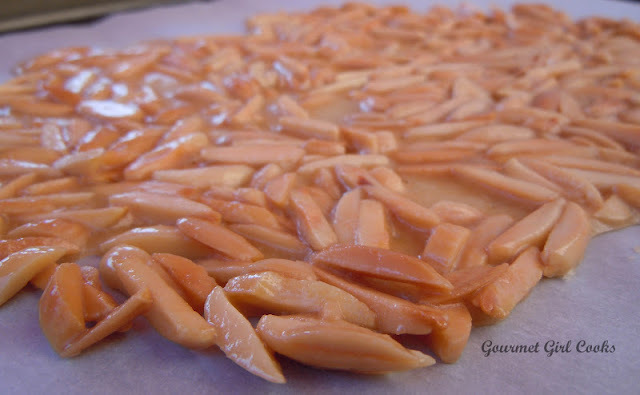 Most nut brittle recipes use corn syrup, but by melting butter and Swerve together in place of sugar or corn syrup, you get essentially the same results (or very similar). You could substitute any other kind of nut in place of the almonds...peanuts, macadamias, cashews, etc. Both desserts substitute Swerve in place of the sugar and both turned out totally awesome! Swerve is quickly becoming my favorite sweetener for baking and making treats. Besides tasting great, I really like the ease of measuring it the same way you measure sugar in recipes -- no calculations are required. Below are a few pictures as well as the recipes for both items. Enjoy! Break chocolate baking bar into small pieces. Bring the cream, Swerve, and vanilla to a boil in a saucepan. Whisk the egg yolks in a bowl. Add about 1/3 of the boiling cream into the yolks and whisk constantly (you don't want to cook or scramble the yolks). Return the remaining cream to a boil and whisk in the yolk/cream mixture. Continue to cook, whisking constantly, for about 20 seconds or so, until slightly thickened. 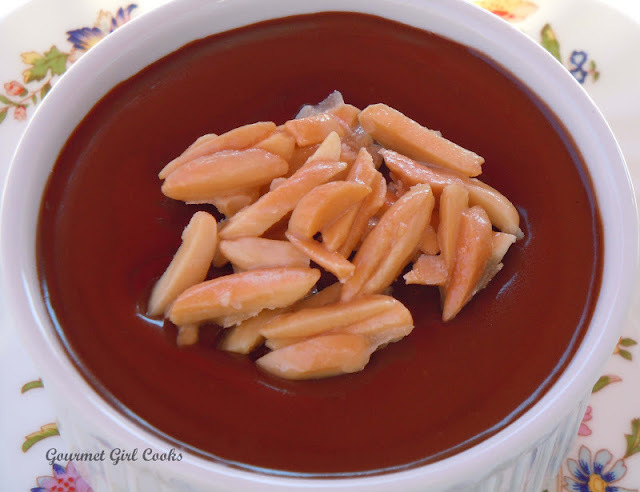 Strain the cream mixture through a mesh net strainer into a bowl and add the chocolate, whisking until smooth. Once chocolate is melted and incorporated, whisk in the espresso coffee. Pour into three 5 to 6-ounce custard cups or ramekins. Refrigerate until cooled. Top with pieces of Buttered Almond Brittle or whipping cream and berries, if desired. Melt butter in a small saucepan; add Swerve stirring constantly until it has dissolved and melted into a smooth liquid. 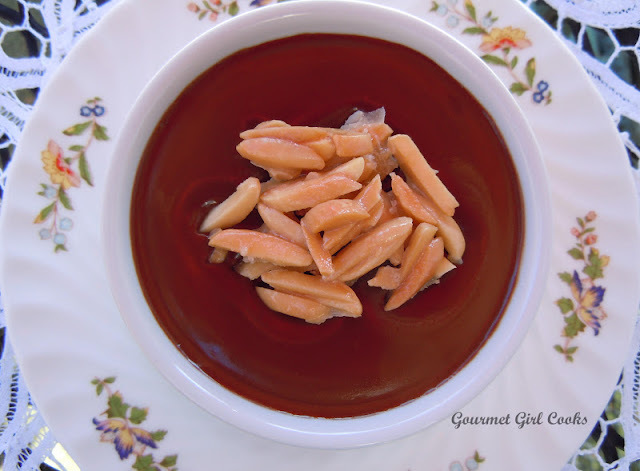 Add almonds; stirring frequently, cook approximately 6 minutes or until almonds begin to turn light golden brown. 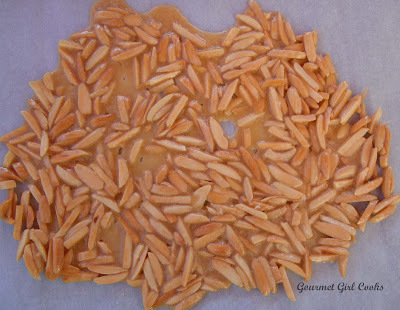 Spread hot nut mixture onto a parchment paper lined cookie sheet and let cool completely. Break into chunks. Store covered in a tightly sealed container or bag. Other types of nuts can easily be substituted to make other nut brittles such as peanut brittle, cashew brittle, macadamia, etc. 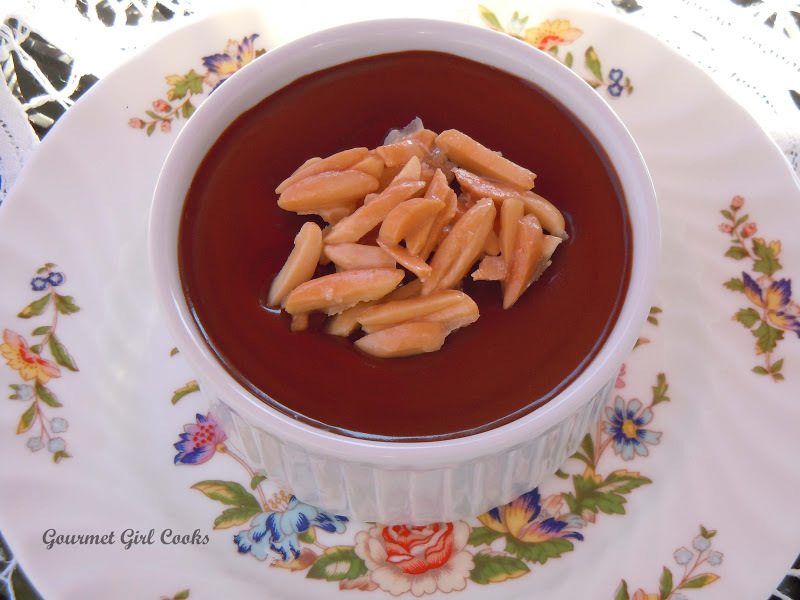 sonesspYried the Decadent Chocolate EspressoPot de Creme topped with whipped cream! Like Gourmet Girl says, BOOM!!!!! It was out of sight!